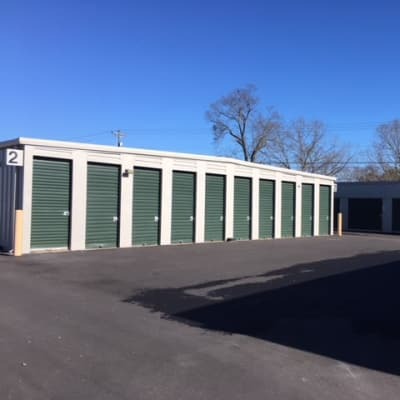 At Monster Self Storage, we offer the best storage units for rent in Seneca, SC. From our smaller 5x20 units, to our largest 10x50 units, and everything in between, you’re sure to find the perfect storage unit for your needs. Our units are great for personal or commercial use. Commercial storage can be used for an array of reasons, from storing extra inventory to important files and documents. In addition to traditional storage units, we also offer uncovered RV and boat parking and storage. Our wide, easy-to-navigate driveways are specifically designed to make it simple to get your adventure vehicle in and out of its space, so you can get on with the fun. We know not everyone works a 9-to-5 job, which means you need access to your unit on your time. Monster Self Storage provides our renters with 24-hour gate access, 7 days a week for your convenience. Wide driveways make it easy to navigate our ground level storage units, while motion-detecting lights provide peace of mind. Monster Self Storage gladly offers military and senior discounts in addition to month-to-month rentals for your convenience, and no deposit is required to move in. Get to know the features of our Seneca self storage facility and then contact us with any additional questions you may have.